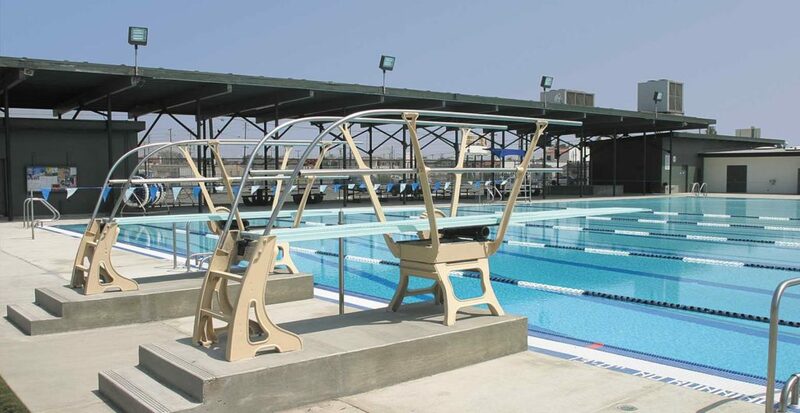 Arch Pac trans­formed Hawthorne’s old, inef­fi­cient pools into a state-of-the-art facil­i­ty con­sis­tent­ly rat­ed as one of the best swim com­plex­es in the South Bay. 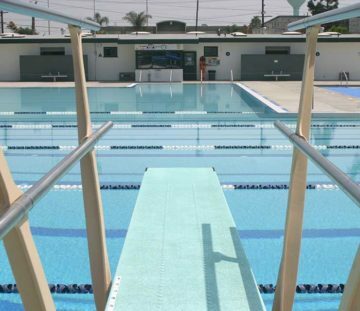 We con­vert­ed three pools into two, com­bin­ing the orig­i­nal div­ing and lap pools into a sin­gle 50-yard x 25-yard pool for com­pe­ti­tion, lap swim­ming, water polo and div­ing. The sec­ond pool accom­mo­dates learn-to-swim and wad­ing. 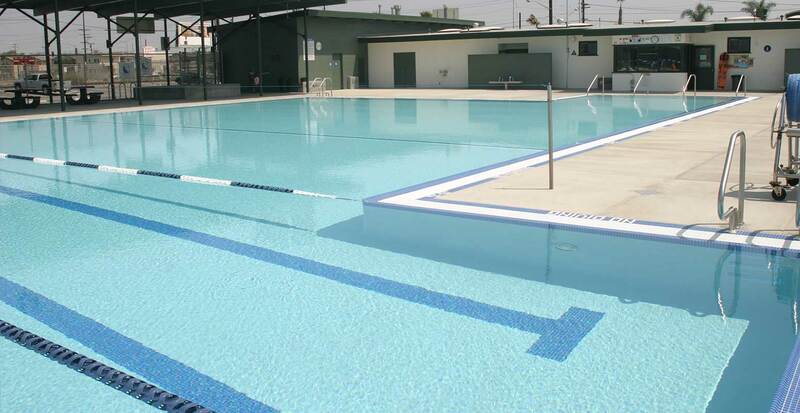 Although tech­ni­cal­ly a ren­o­va­tion, the Hawthorne Pool looks and func­tions like a brand-new facil­i­ty.